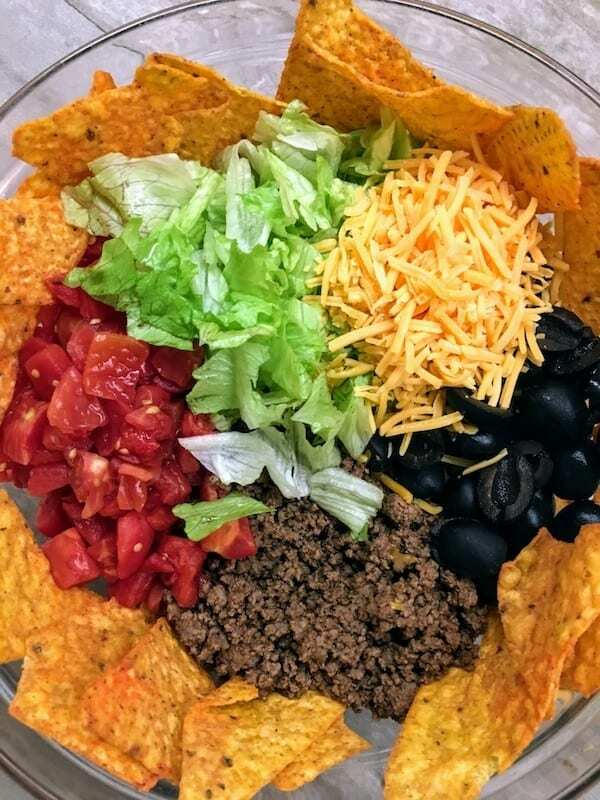 Easy Dorito Taco Salad recipe is the perfect meal for adding a little spice to your supper table or parties. The meal is made from Doritos and packs a flavorful punch. Updated. 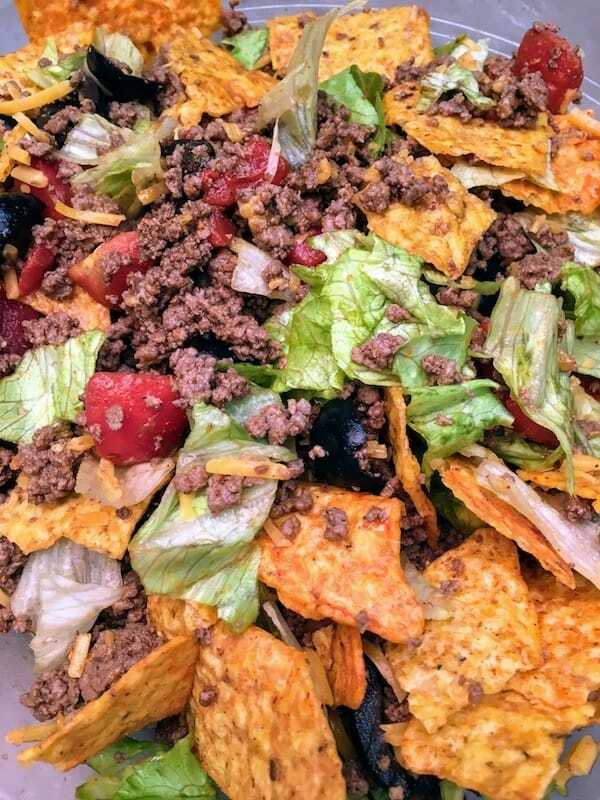 My husband, John, requested the taco salad recipe for supper a few nights ago. He and my youngest son, Ethan, both love spicy foods. At times, Ethan will get a hold of something hot and spicy from a friend at school and wait until he gets home to eat it in case he needs, “A big ole’ glass of water.” But, gosh, they love their spicy foods. This salad fit the bill and everyone loved it. So much, that the hubs even mentioned last night that he wished there were more leftovers. 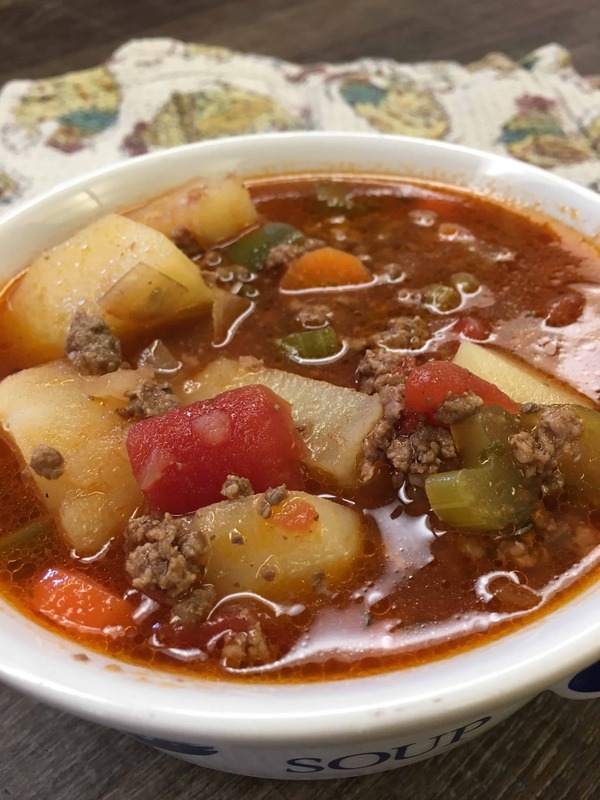 The recipe is perfect for tailgate parties, supper recipes, or any party, for that matter. If you have a hard time with spicy foods, you can leave the taco seasoning out and still get a bit of the flavor from the Doritos. Start off by browning your meat. I like to use my cast iron skillet whenever possible. 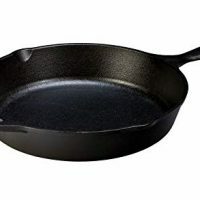 I even have a glass-top stove and don’t have a single scratch from my skillet. The skillets are incredibly durable – you can even use a fork! Add the taco seasoning. 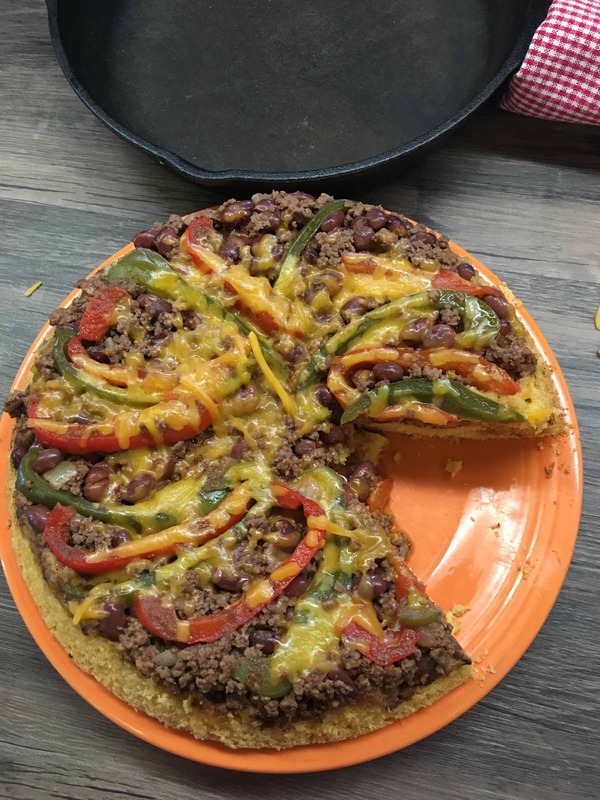 I used a packet of Old El Paso. Mix it up and add some water. Let it simmer until it thickens a little bit. 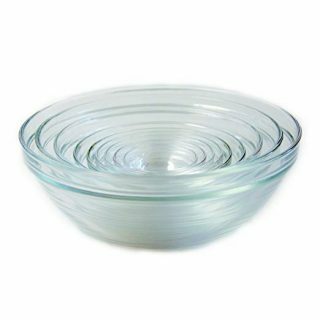 Once it cooks, drain off the grease and add it to a medium-sized bowl. (Here’s where you can leave the seasoning out if you have a hard time with spicy food). While the meat is cooking cut up the lettuce. 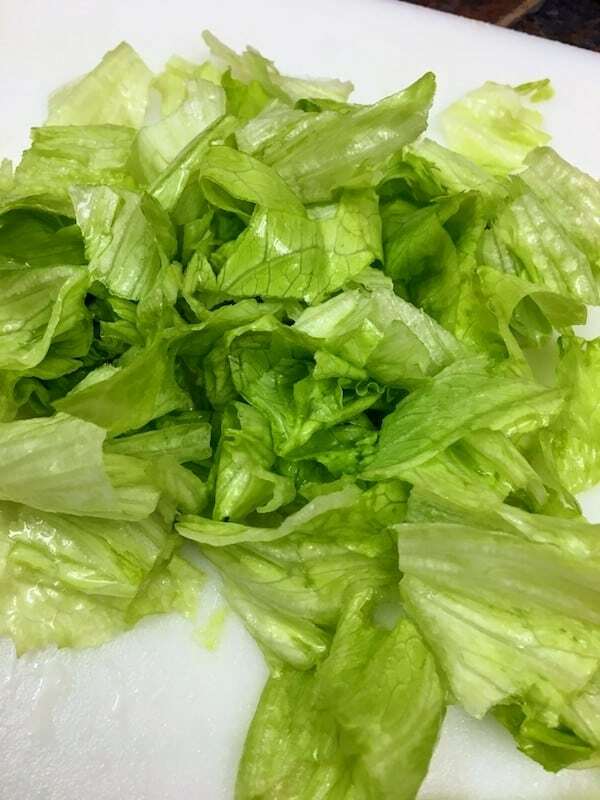 I bought a head of iceberg lettuce and cut it up. 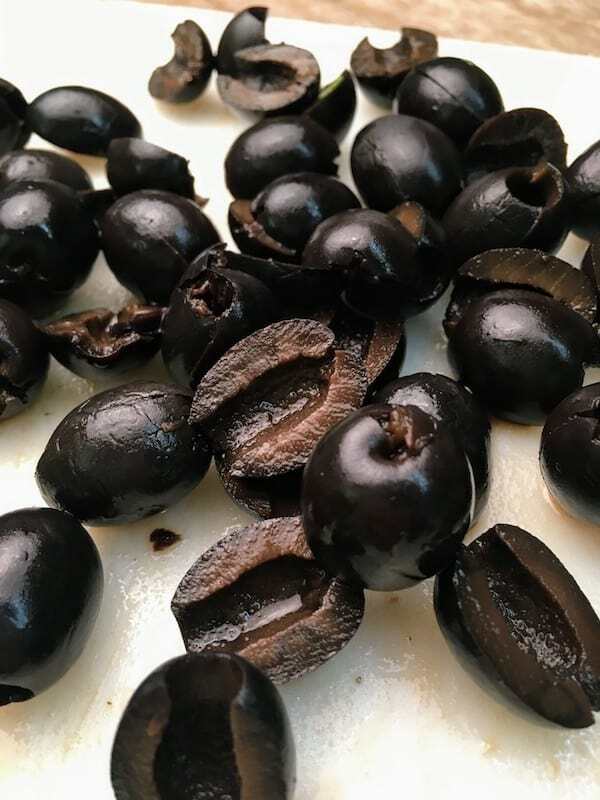 Cut up the black olives. I just sliced them in half for this recipe. Drain the meat after it’s finished cooking. I usually give it a rinse with hot water to get all of the extra grease off. If you can, pat it with a paper towel to get the meat a little more dry before adding the Doritos. Add everything into the bowl. I had a can of diced tomatoes on hand, so I drained them and added them to the bowl, and also added the shredded cheddar cheese. Finally, grab the Doritos and toss them into the salad. Aren’t those some pretty colors? Toss the salad. You’re almost done and it’s that easy. Add the salad to a bowl and put a little dollop of sour cream on top. 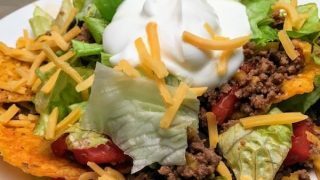 You can add the salad into smaller taco salad bowls to spread around the wealth to your guests. It’s a fun treat and super budget-friendly. 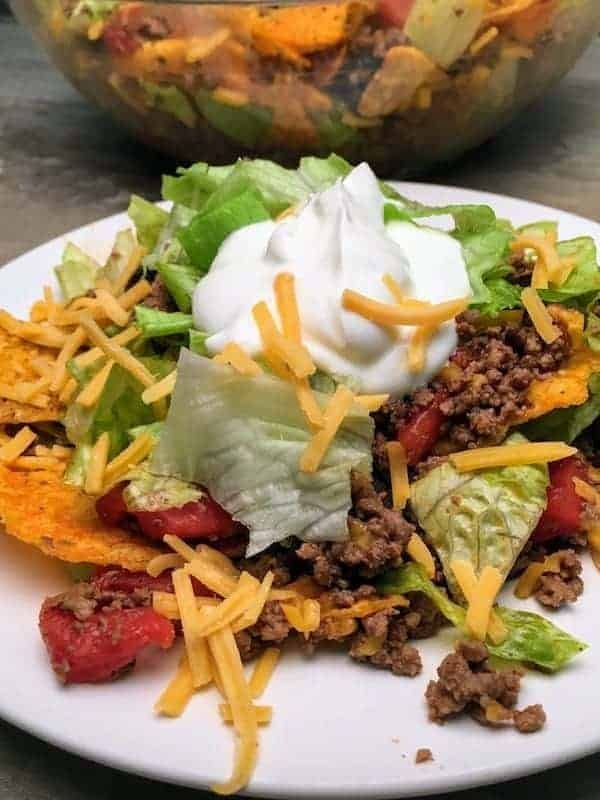 Easy Dorito Taco Salad recipe is the perfect meal for adding a little spice to your supper table or parties. 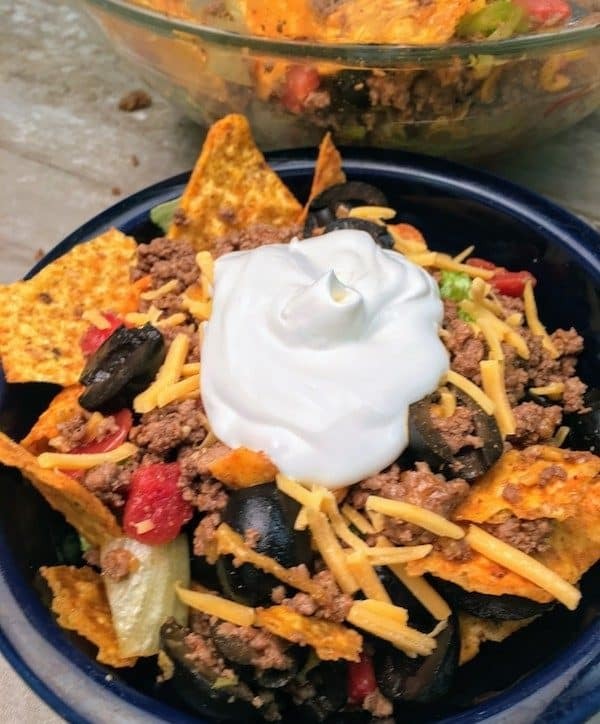 The taco salad bowls are made from Doritos and pack a flavorful punch. 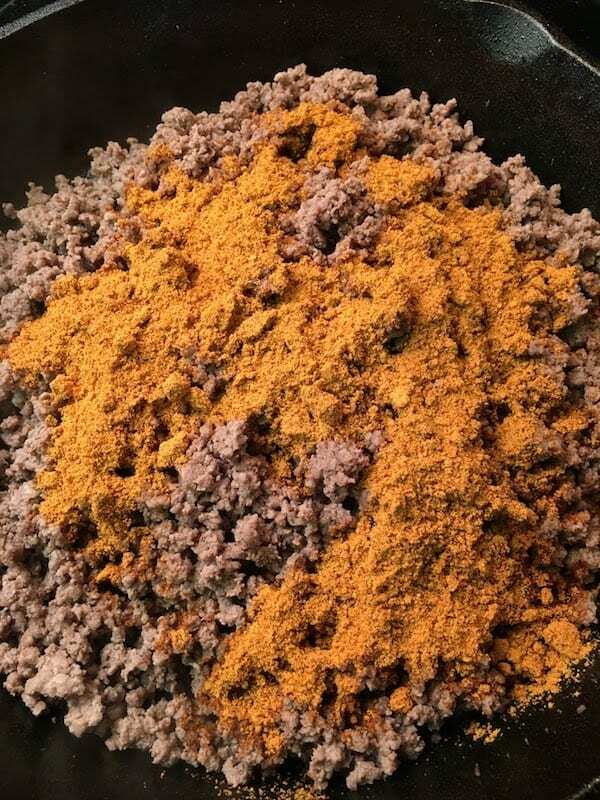 Add the Old El Paso Taco Seasoning to the meat. Add the water and mix until well blended. Turn the heat down to simmer and let the sauce thicken for a few minutes. 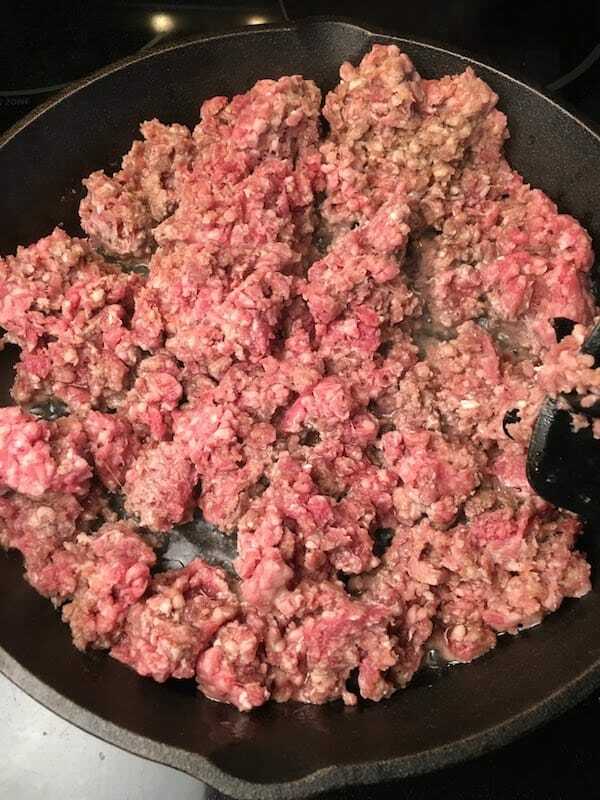 Drain the grease off of the meat and add the meat to a bowl. Dice up the tomatoes and black olives and add to the bowl. Add the Doritos and stir the salad. 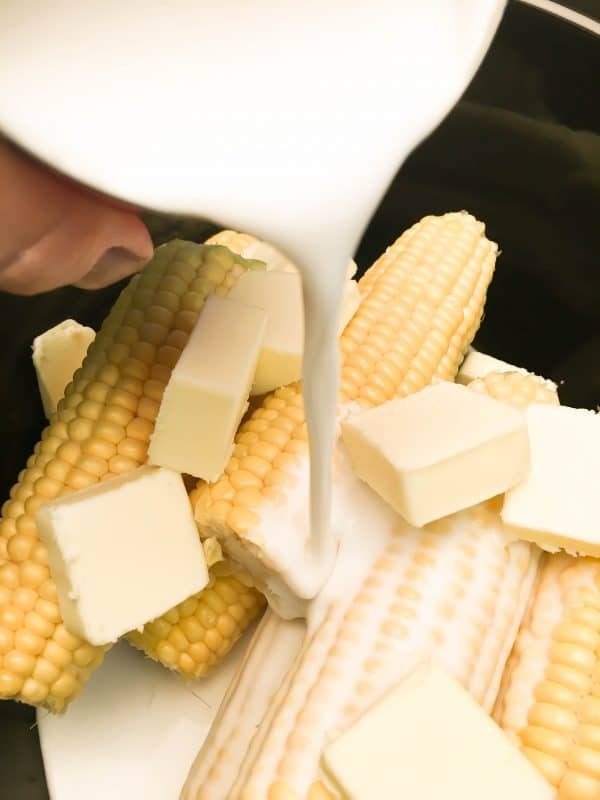 Add to a plate, and place a dollop of sour cream on top. We just had taco salad for dinner tonight! We didn’t have Doritos, though. They would add a little zip to the dish and make it something special. Perhaps we will try it sometime! Hi Shannon! How fun that you had taco salad for dinner! Doritos are a fun addition to the salad, for sure. Have a good night! Yum. Doritos!!!!! And the salad looks yummy too 😉 Thanks for linking up at Friday Frenzy Link Party! Pinned!! Hi Kelly! Thank you! Thanks for always hosting such a fun party. Love taco salad one of my faves! So much better with Doritos. Pinned it! Thanks for linking up to the Friday Frenzy. Thank you for pinning it! Doritos are so delicious! Thanks for hosting Friday Frenzy. It’s a fun party!